In early November 2015, I enquired about purchasing one of Liverpool’s most iconic buildings, the India Buildings. Some would say it is the later edition to the Three Graces, and it is certainly worthy of its local status as the fourth Grace. I was informed by a new agency, Worthington Owen, who were joint agents with CBRE, that India Buildings was to be marketed at £20 million. This is a building that has had a very colourful past, as it has been rife with underhand dealings since Mr Achilleas Kallakis and Alexander Williams, both 44 and from London, attempted to defraud Allied Irish Banks (AIB) out of £740m and Bank of Scotland, as it was known. The two property developers purchased the building for £45 million. Although I do not know the full detail of what transpired once the building was placed into receivership; I do know the Green Property Co. purchased India Buildings, along with a cluster of failed property developments from the bank. It was at this point, during the stewardship of this company, that India Buildings suffered its greatest demise, falling from an occupancy level of around 80% to less than 20%. In my view, the reason for this poor level of lease units within the building is due to the fact many property funds are only interested in London. When existing tenants requested for this particular company to create a new deal, as their old lease was coming to an end, they simply declined, which will always lead to a very sharp decline in the rental yields. In November 2015, I gave agents Worthington and Owen an unconditional written offer of £20 million, which was exactly what they wished to gain. Worthington Owen came back to me within a couple of days, with a request that I gave them proof of funding, which I did. Our deal was to give them a deposit of £2 million, which should be more than enough to show them my intent to purchase. After all, who would ever want to lose £2 million by not completing a transaction? Aligned with the deposit, we also asked for a three month completion date, and yet this was still not enough. I was then requested to provide further confirmation that I could gain the funds required to purchase India Buildings, so I reached out to two of Liverpool’s most prominent businessmen, with one who can only be described as the UK’s most prolific businessman, after developing one of the nation’s largest companies. The businessmen kindly sent the owners of India Buildings proof they could buy the buildings many times over; they even furnished the owners with a letter of intent, which stated they intended to purchase India Buildings with Signature Living as their chosen partner. I believed I was now in a position to answer all their doubts and asked, yet again, if my offer was accepted. Not only was I in a position to purchase an iconic building, I was set to go into partnership with two outstanding businessmen. We were now coming up to the Christmas period, and I was told the fund were waiting on another bid. When I was told the new bid had hit the desks of Green Property Funds, I was certain we had secured the building, as their offer was for just £17 million. Can you imagine my utter disgust when I was told our offer had not been accepted? Green Property apparently did not care about the extra £3 million they would have secured with my offer. Their answer, which came via Worthington Owen, was they were making that much money in other areas of their business, and so the board had sanctioned a lower price for a new fund to purchase India Buildings. From the first conversation I had with the agents, who were selling this property and who I had a very good relationship with, as I have secured multiple projects through one of their partners, Mr Andrew Owen, who from the outset has always stated he has no part or say in the outcome of this possible transaction. I believe both Worthington Owen and joint agents CBRE knew from day one the building was to be sold to the incoming fund for £17 million – which I have no problem with. I would have accepted the fact if they would have told me from the outset, but they never did. Instead, they allowed me to spend many hours and a lot of money on architect plans. I even created what would have been a great synergy between two great businessmen and my company, who have a reputation which spans the World and would have been seen by all a major coup for our city, this would have created a large amount of jobs and sharpen our city’s office and accommodation offer. 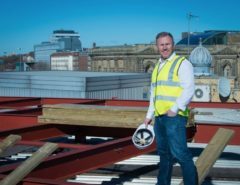 Our plan was to create Liverpool’s first 5 star hotel and Michelin Star restaurant, which would act as the last piece of Liverpool’s stunning rise through the accommodation rank and file within the UK. I am a Liverpool developer who will always live in this beautiful city. There is so much work we have to do, as a company, to help our city and our Council achieve their aspirations with regard to job creation, development and, above all, telling the world how amazing our people and city are. 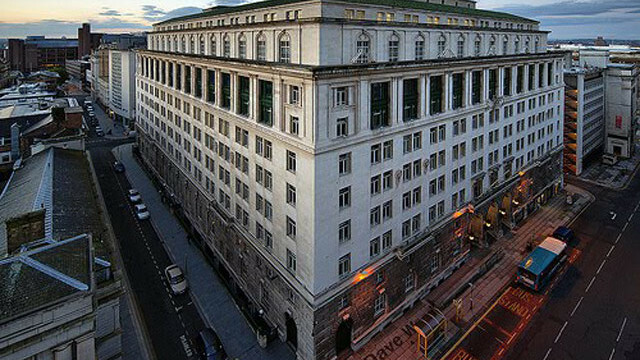 What concerns me greatly is this iconic Liverpool building will once again be owned by someone who sees it as just another profit line. If Signature Living has proved anything in its seven year history, it’s that we not only give all our buildings a new lease of life, we also give them a huge online presence, which fans of the city, from all over the world can rejoice in the resurgence of this great building. Yet here we are allowing an outside London fund to come in and take on a building, which will just be another building to them, and purchase it in the manner they have, by underbidding another Co by £3 million and still securing it. In my view, this does not allow the building the chance to wrestle itself from the smell of deception, which has haunted it since the fraudulent past of two now jailed developers. Your article is inspiring to know that there are still wealthy people out there who care. Whether we talk in pence, pounds or millions, trust is trust. Morals do not play a part in this story, but what you have created is an emotive piece of written narrative which I will be sharing with my GCSE students as part of their English curriculum analysing non fiction texts. The rich get richer whilst the educators educate. Our city need developers who truly care about our amazing City and not sit in their ivory tower in London playing Monopoly. If you care about our City and it’s amazing buildings please share this post and maybe next time an Iconic Liverpool building becomes available we can keep it in the family. Any jobs going lawrence ? or know any body taking on ? I am from the city (croxteth area ) i am willing to try anything no matter how big or small . I just need a chance . Am 33 years old , used to be in security work, and have done general labouring in the past . Am strong and fit very hard working just found myself on hard times and need a break. I applaud your efforts and the sentiments behind them. I agree, our magnificent city should cherish each of its beautiful buildings and do its best to ensure that they are restored and improved for modern day use. A 5 Star hotel would have raised the City’s game to a new level. I am always telling our friends who visit, to look up, not just ahead at the fabulous architecture that towers above the City. 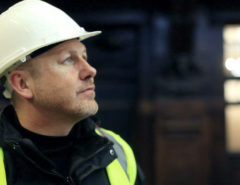 I have a printing business and am guilty of spending too much time talking to builders and architects who come in for plan prining, about their projects, especially those who are restoring old buildings, I think I was meant to be an architect – or a brickie. My grandfather taught me the importance of honesty in business and you are quite clearly dealing with people who don’t place any value in this trait. Hopefully they will lose interest because if they are not passionate about this building, as you clearly are, then the problems that it will undooubtedly throw up, may prompt them to off load it. 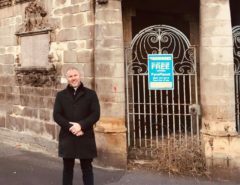 At that point, you will still hopefully be in a position to purchase it because it’s not just a building, it’s one of our City’s treasures and deserves to be treated as one. Good luck! Such a shame this building will end up in the hands of people who have no connection with the city and dont appreciate the historical importance of this stunning building. Massive shame that this didn’t pan out for Lawrence Kenwright and Signature Living. We can only dream now of how stunning this building would have been on the inside To match it’s iconic exterior. Signature Living as developers have a passion for the city of Liverpool and the stop the rot campaign, it’s a big loss that this building is now in someone else’s hands. the previous owners did indeed try to defraud the banks, but not just AiB, and their portfolio was extensive, covering some huge buildings and developments in London. India Buildings was the straw that broke the camel’s back and when they tried to sell it at a loss, the bank was going to write the loss off until the stakeholders of AiB demanded that the loan was looked into and it was found that DD was never followed. From what I understand, the reason your bid was turned down was because the owners decided that they wished the building to remain in its current commercial status and not be sliced up for yet more residential property. It would be a stunning conversion, but I can’t help but think that maybe Liverpool does need some of its iconic buildings to carry on housing businesses and not get sold off to investors. Good luck with your next venture though. Have I missed something ? Isn’t a hotel and/or restaurant a commercial status not residential ? This could have been something very special for Liverpool. It’s a great shame you were unable to acquire India Buildings. It is a Liverpool building that should be owned by Liverpool people. Local investors will actually care about this city – and it’s scary to think the future of our city could be in the hands of people who don’t care about our history or culture. Such a shame that Signature Living didn’t get this building, I’m sure they would have had incredible plans to transform this building and celebrate the history of our city and architecture just like in their other projects. Such a shame your bid was turned down, this could have been an amazing addition to your portfolio and another iconic building for the people of Liverpool to enjoy. After working on the refurbishment of no. 33 ,the home of the titanic ,I was looking forward to seeing your company win many more contracts within Liverpool ,as a manual contractor I don’t know you personally although saw you on site on many occasions overseeing the various stages of the contract.i would just like to add my disappointment at what has transpired because as a local tradesman I am continually looking for further contracts to work on and as signature living you have provided not only these sites but have provided them for local,Liverpool tradesmen and construction workers along with all the other workers that are needed on these sites ,sadly not all do . The fat rich businessmen in London have always hated and been jealous of our city and they don’t want us to be any bigger on the map than we already are. That is why your bid was not accepted. To succeed you have to be as sly as they are. These building form part of our heritage, 30 James Street was derelict and all but forgotten, now it is a showpiece hotel which has been given a more than sympathetic make-over and something for the city to be proud of. This could have been the case with India Building and it saddens me that your offer was refused. I do however hope that you will continue the amazing work you do in saving and transforming Liverpool’s heritage. Thank you Bob for your kind words. I do believe that we as a City still have a lot of work to do and I for one will not stop until dereliction is eradicated from our streets. It will be interesting to see how long it takes this fund to sell on the property for 20 million and who apart from their fund will benefit financially from this. Well all I can say, is Liverpool missed out on what could have been their Waldorf Astoria, with bells on. I am a huge emotional fan of all Liverpool architecture, due to my early years in employment. I remember going in and out of India Buildings as a messenger boy, the lifts then had operators and you were directed to the lifts by a person with a clicker. It has a atmosphere like no other, and is surely The Fourth Grace. Pity you were denied. There is not a day goes by that I do not run through the process of what I would do if i was fortunate enough to purchase this once amazing Hotel. The sad fact is that the owner does not wish to sell. Do you think there will ever be an opportunity for someone such as yourself who would be in a position to buy the Adelphi and restore it to its former glory ? I worked there in the late 70s and it was a wonderful hotel even then . I love the Adelphi and its unbearable to see it go to ruin the way it is .